World of Warcraft has finally gotten with the times. You can now play the game and all but one of its expansion packs just by paying the monthly $15 fee. As of today, you can play World of Warcraft and every expansion except the most current one—in this case Battle For Azeroth, which isn’t out yet—the moment you subscribe for $15. There’s no longer an upfront fee for the game, or for any of its expansion packs. Just subscribe and you can craft, war, and everything in between (live, love, laugh, fight boars). Used to be, if you wanted to play World of Warcraft, you had to pay the piper repeatedly: for the base game, for expansions, for a subscription. In recent years, Blizzard had adopted a “Battle Chest” format, where the base package came with a fee separate from a subscription, but it included most of the expansions. Now Blizzard’s done away with that bit of increasingly anachronistic complication. 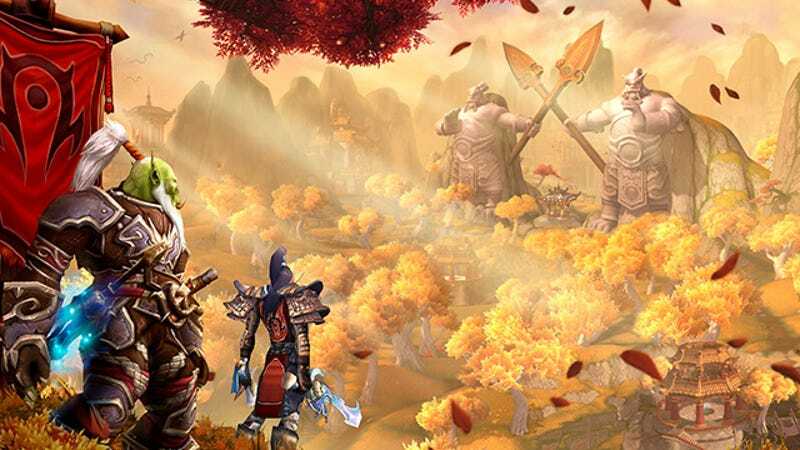 WoW’s next expansion, the once-again Horde-vs-Alliance-focused Battle For Azeroth, will be out on August 14. It’ll cost $49.99, which is obviously a lot more than $15. It’s not required if you’re just starting out, but the new endgame will be outside your grimy green orc grasp without it. So in case you were worried, fear not: Blizzard still wants your money.